Imagine you are in a country where people do not speak the same language as you. Because you can’t understand the language, following verbal instructions are obviously very difficult. Imagine being instructed to draw a straight line on a board with a piece of chalk when you can’t understand verbal instructions. Very difficult, I’m sure you’ll agree. Your instructor’s job, without actually showing you is to break the job down into slices and build it slice by slice. This is shaping. In this example, the slices would be like this. Slice 7: Draw a line on the board. The interesting thing that I noticed about this video, apart from the excellent timing of the click was the presentation of the food. 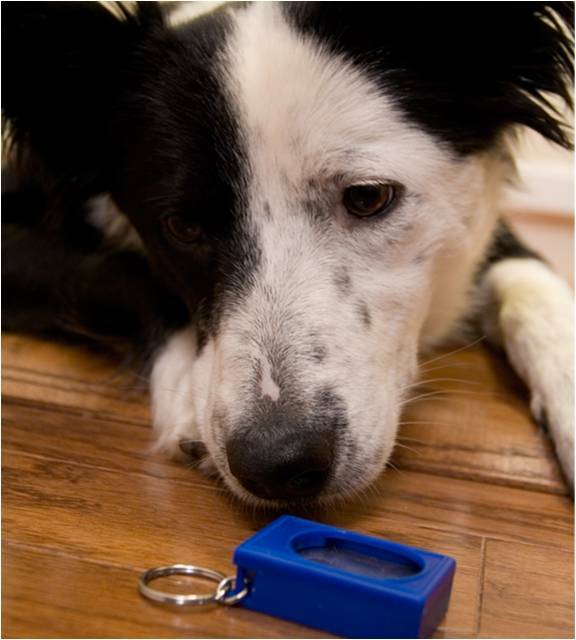 What we tend to forget when we use the clicker to mark behaviour is that the food also influences what the dog is learning. Bob Bailey said about the primary reinforcer “As much thought should go into the delivery of the primary reinforcer as goes into the secondary, or bridge (clicker). Generally, to make this work for you, Click For Action, Feed For Position.” This is exactly what the handler in the video clip is doing and it is very effective in getting her dog to understand what she wants. You can also use shaping to build on an existing behaviour and this is how distance, duration and distractions are incrementally added to an already existing sit, down or heel. There are other ways of getting behaviours that I can think of. Luring, Moulding, Capturing and Targeting. However, none of these are as flexible as shaping. It is limited only by the animal’s ability and the trainer’s skill. Sometimes the best solution is to use a combination of luring, capturing, targeting and shaping. Get the dog on the right track by luring or targeting, then free-shape. As a dog trainer you need to be creative and use whatever tools are available to you.